Spotted first by MSPoweruser (via The Verge), Microsoft has revealed teasers for the upcoming new design for its Outlook apps for Mac and Windows during an Ignite conference session. The redesign looks quite similar to the Outlook app for iOS, offering reduced complexity and easier navigation with a single-line ribbon and a smaller set of default commands. The updated Outlook apps for Mac and Windows feature a new customizable ribbon, allowing users to control which buttons they want to make available according to their own common tasks. The navigation panel to the left, which looks much like the switcher in Outlook for iOS, also includes quicker access to folders across multiple accounts. Microsoft has previously admitted that “MacBooks are popular amongst key influencers and decision makers”, which is why it is working hard “to win these users by delivering the best Outlook has to offer”. “The overall interface will pick up the same ribbon changes and left navigation panel, but Outlook for Mac will also include improvements to search and calendar. 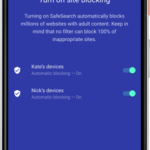 Search will be faster and more reliable, and easier to discover in the top right corner of the app. Calendar will also be improved with fly-outs of information, and a better interface for managing appointments. 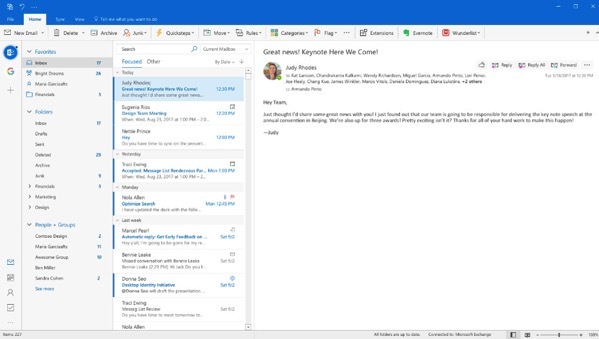 Majority of new design and feature changes are expected to be made available first to Office 365 subscribers, before making their way to Outlook 2019.